In terms of features, the Ignis 1.2 Delta AMT offers a double-din audio system with Bluetooth phone integration and audio playback along with Aux-in, USB input and CD playback. This unit is coupled to a two-speaker sound system. It also gets a tachometer, electronically adjustable outside rearview mirrors and front and rear power windows. Its dual-tone dashboard theme (black and white) starts from the Delta trim onwards. 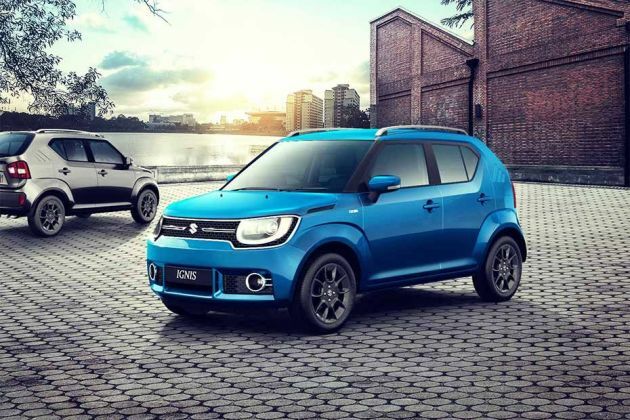 It features a new three-spoke multifunction, tilt-adjustable steering wheel, which is unique to the Ignis in the automakerÃ????Ã???Ã??Ã?Â¢? ?s lineup. The rear seat in the Delta trim splits in a 60:40 ratio and comes with adjustable headrests. As far as safety is concerned, all variants of Nexa's entry-level model, including the 1.2 Delta automatic, come with dual-front airbags (driver and front passenger) along with ABS (anti-lock braking system) and EBD (electronic brake-force distribution). Further, it comes with child seat anchors and seat belts with pre-tensioners as well. It rides on 15-inch steel wheels with 175/65 cross-section tyres with wheel covers. The 1.2-litre K-series motor in the Ignis' petrol automatic versions is one of the most common engines in Maruti's line-up, like the Fiat-sourced 1.3-litre DDiS diesel motor. The 1,197cc four-cylinder petrol puts out 83PS of max power and 113Nm of peak torque and is mated to a 5-speed AMT (automated manual transmission) in the Maruti Suzuki Ignis 1.2 Delta automatic. The ARAI-certified fuel efficiency of the Maruti Ignis 1.2 Delta AMT automatic is 20.89kmpl, which is identical to its 5-speed manual counterpart. The Maruti Suzuki Ignis Delta petrol AMT goes up against the Hyundai Grand i10 1.2 Kappa Dual VTVT Magna automatic along with the Nissan Micra XL CVT among others.